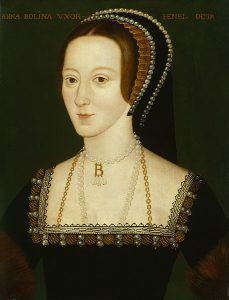 On the 29th April 1536, Anne Boleyn argued with Sir Henry Norris, an argument which led her to instruct him to go to her almoner on Sunday 30th April and take an oath that Anne “was a good woman”. It was an argument which caused gossip around the court and which may also have led to cross words between Anne and her husband the King. In this argument, Anne accused Norris of being in love with her, saying “You look for dead men’s shoes, for if aught came to the King but good, you would look to have me”. A shocked Norris replied that “if he [should have any such thought] he would his head were off”. Anne had spoken of the King’s death!